The time I need to prepare an order for shipment may vary from 1 to 6 days, depends on the product. See each item for more information. If you need your order for a specific day, please write me to Gighandfans@gmail.com before doing the payment, I will confirm more accurately when you will receive it. International shipments outside Europe: standard: 2-3 weeks. Urgent 2 to 3 days. I will do my best to meet the estimated shipping deadlines, but I cannot guarantee them. The actual delivery time will depend on the shipping method you choose, it will also depend on tariffs and customs duties. 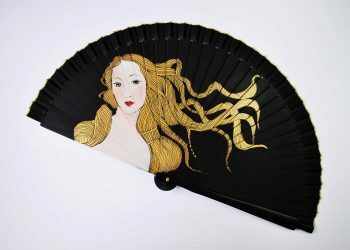 Buyers will pay the applicable tariffs and customs duties, but for handfans normally there’s no need to pay for it. I am not responsible for delays due to customs procedures. If you have chosen this method of payment, you will receive an email with the necessary information to carry out the transfer. There some information that I need for this payment: Order number. The name of the person who enters it. Must be addressed to Gighandfans with the account number that I will provide you in the confirmation email. To expedite the process, you can send the bank transfer receipt to my email: Gighandfans@gmail.com . I will begin to prepare your order once I will receive the receipt. If 7 days after the fulfillment of the order has not been made the transfer I will proceed to cancel the order. PayPal is a completely secure payment platform. Only the bank and PayPal will have access to the bank data, so Gighandfans won’t have access to the data during the payment operation. This modality It has no cost to the customer. You can pay with your credit or debit card in a totally safe and comfortable way, also through our PayPal gateway. This payment gateway is absolutely safe. If you are not satisfied with your purchase, I accept changes and returns. In that situation, please contact me in the following 4 days after reception of the package, explaining the reason that you would like to be refunded. You will have 15 days to forward to me. Once I will receive back the fan, and if it’s in the same conditions as it was delivered, I will return your money back except the shipping costs. 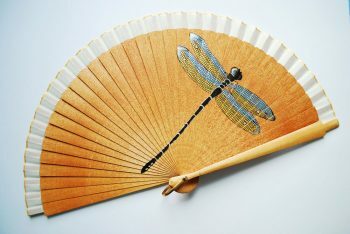 If you receive the handfan damaged because the transport, get in contact with me immediately, and send it back to me. I will return the total cost in less than 5 days. If the fan does not arrive because the package has been lost, I will be responsible to find out what happened and claim it to the Delivery company. 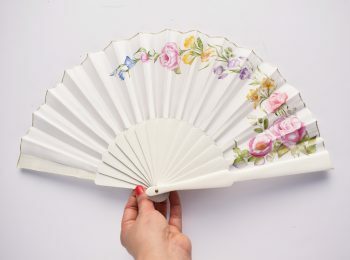 If it’s the company fault, I will send you another handfan. Unless you receive them damaged or defective, I do not accept returns from Custom orders and items on sale. The return costs are borne by the buyer. If the item is not returned in its original state, the buyer will be responsible for any loss of its value.